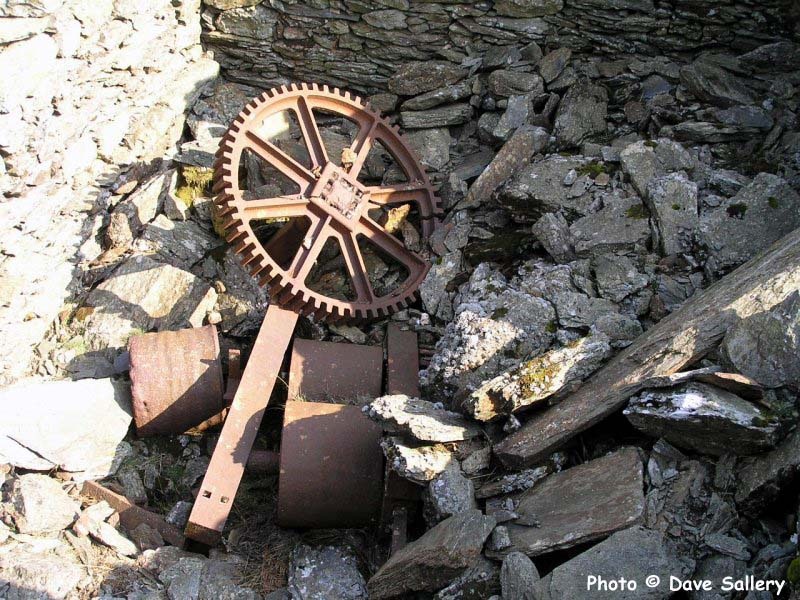 The waterwheel was made by the Hawarden Iron Works Co. at the Sandycroft Foundry, Deeside, Flintshire. 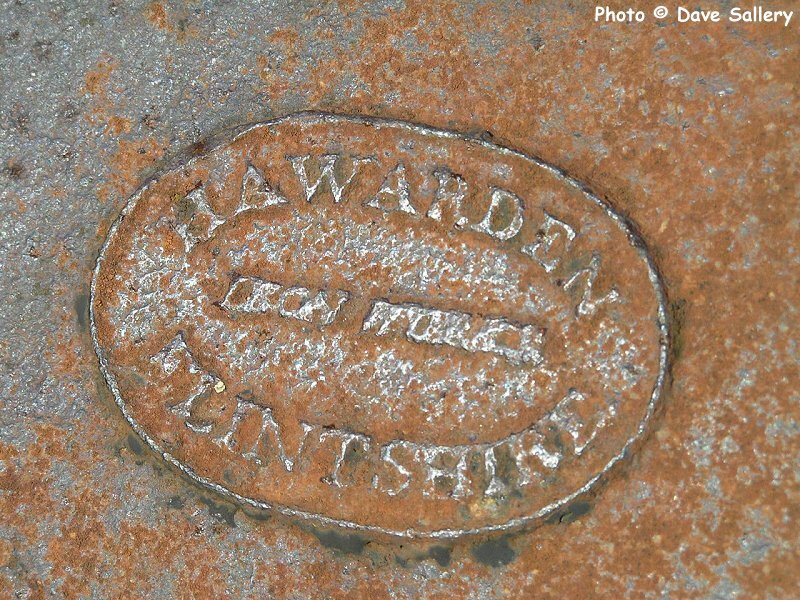 The foundry building still exists by the River Dee and is used as a motor vehicle workshop. 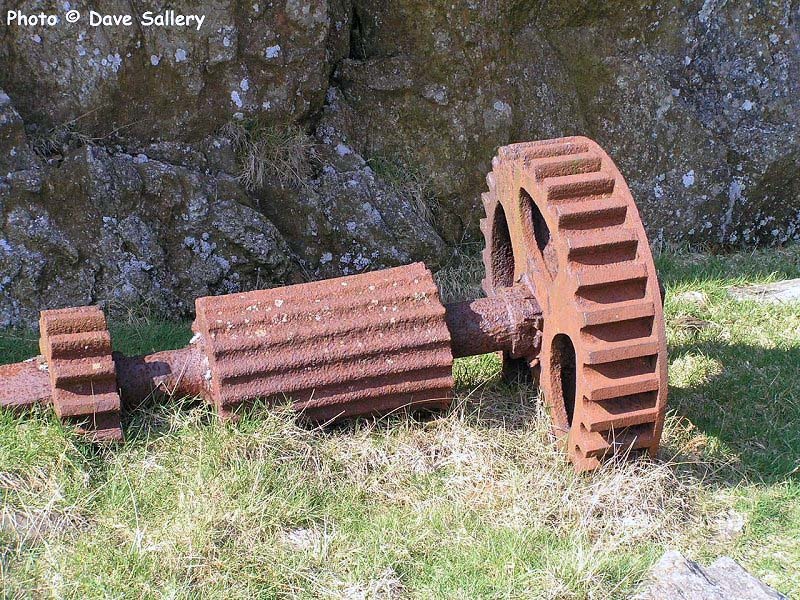 The gearing from the waterwheel drove a stone crusher. 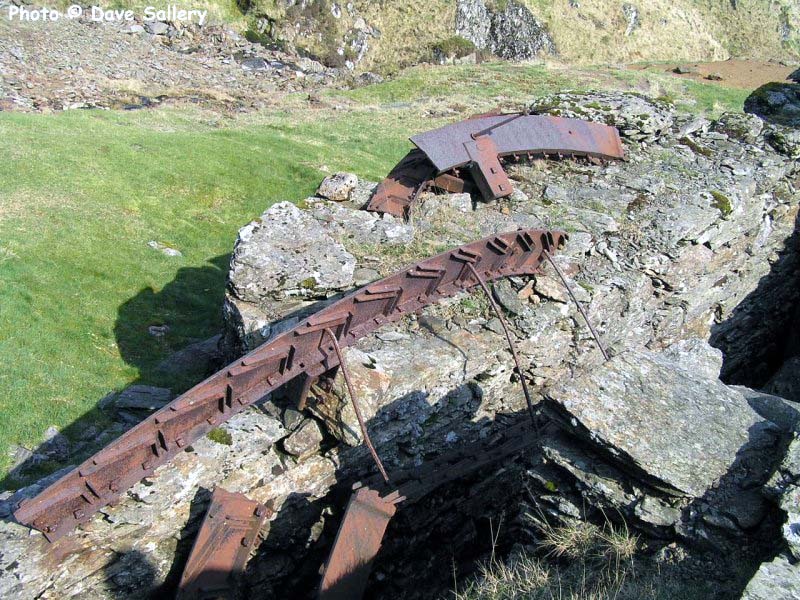 The copper ore was fed through the crusher after any unwanted rock was removed. 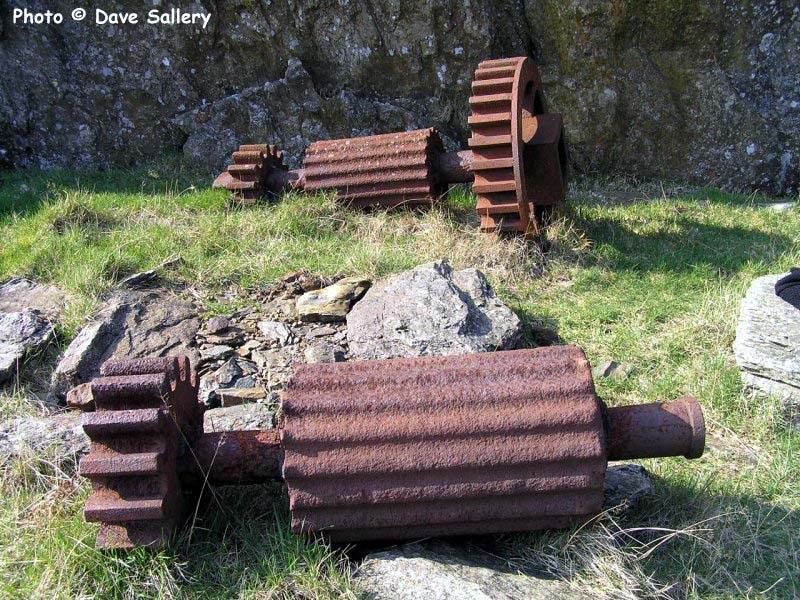 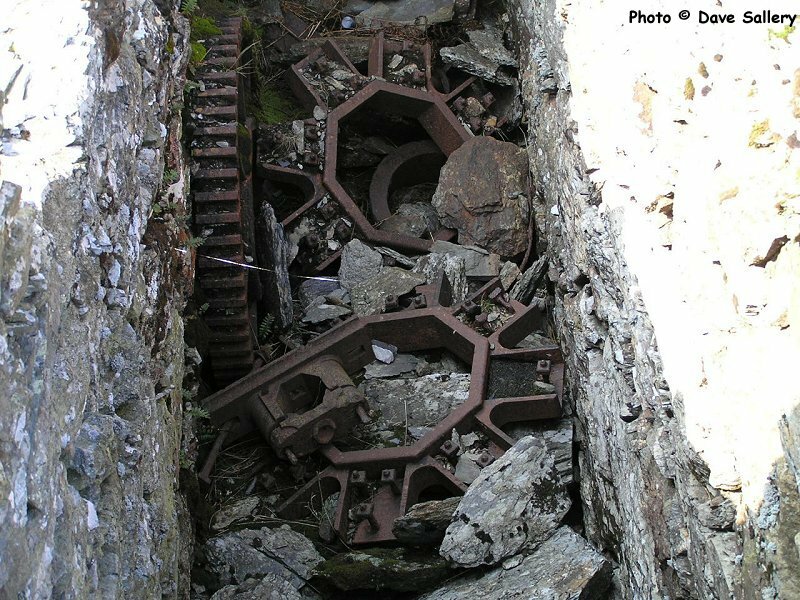 The crusher wheel, in the centre, is far more worn than the gear wheels each end. 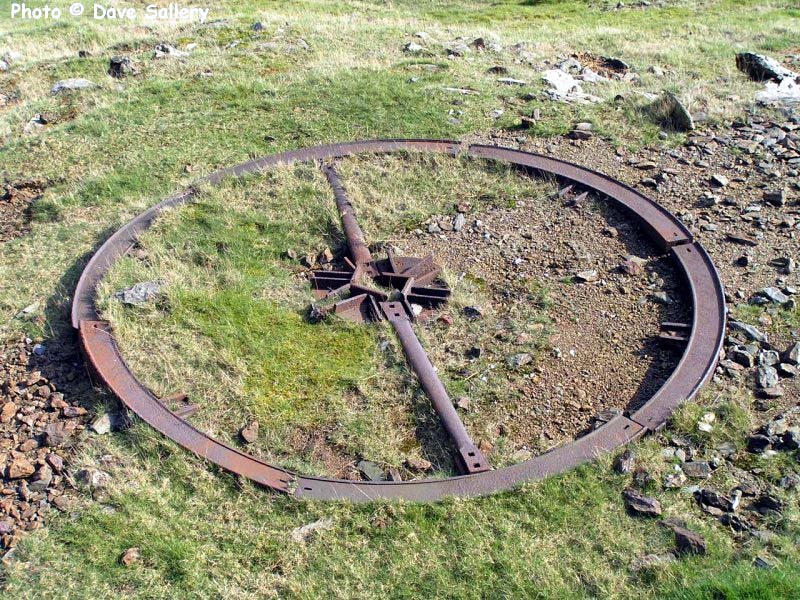 The function of this almost 10 feet/3 metre diameter metal ring/flywheel is unclear. 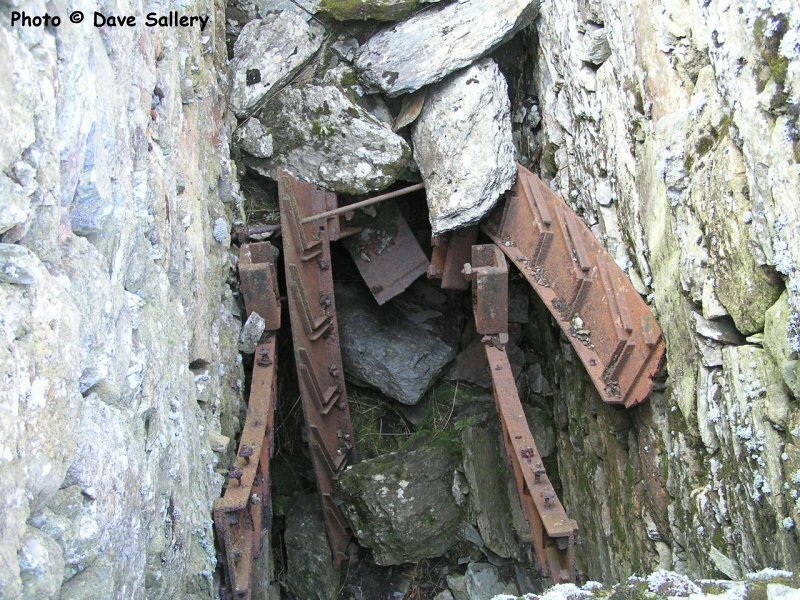 It was originally situated far higher up in the workings.